Bella Jean Boutique: Our Exploratory Day!!! Today was another one of those very exciting and adventurous day. To begin my Aunt Bev and Uncle Kevin from Kansas came to stay with us the last couple of days before heading to San Fransisco. My Aunt is an excellent quilter and therefore loves fabric stores. 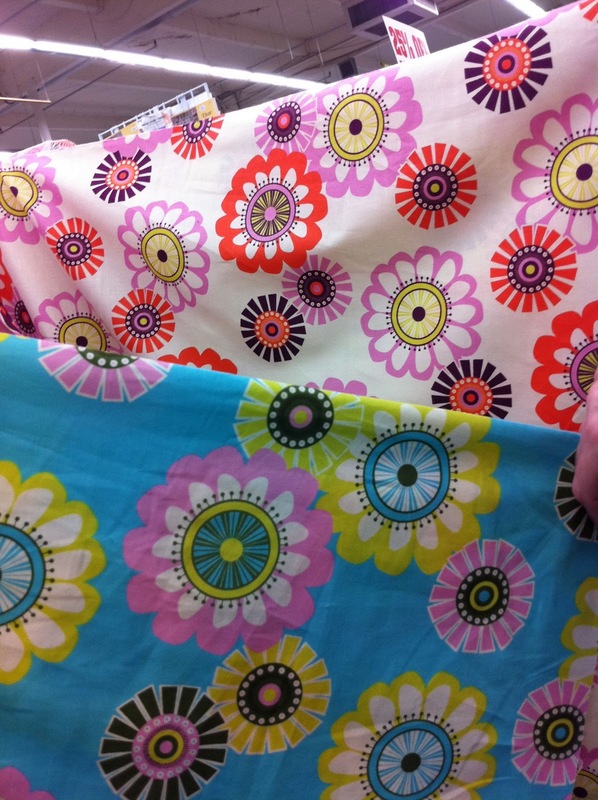 She's been longing to go to Fabric Depot so we took our opportunity. This morning at 9:00am we began our drive to Portland. After a fun 2 hour drive we reached Ikea and purchased a children's table and chairs for our shop so little kids can color or play at it while their mom shops or their sister has a lesson. We also found a children's wardrobe and shelving that I think will get soon for our "shabby chic" decor. 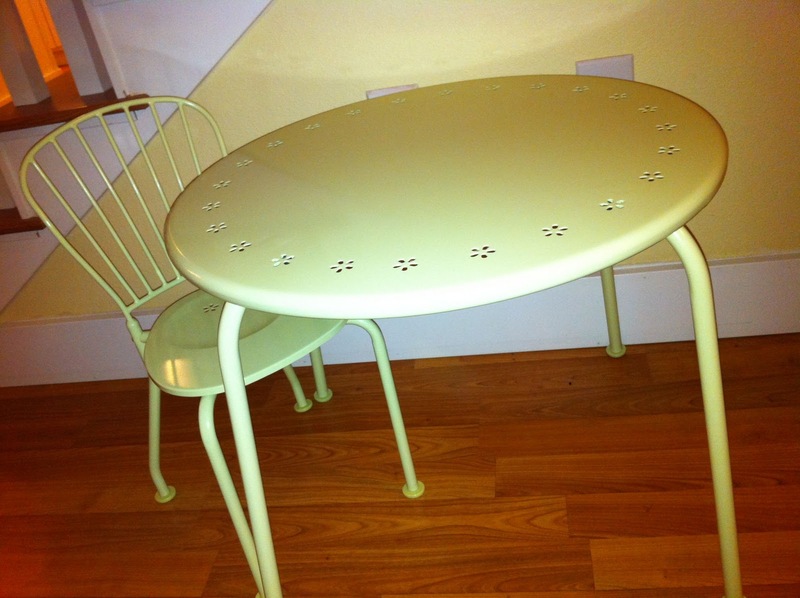 this is the table and chair that we got! 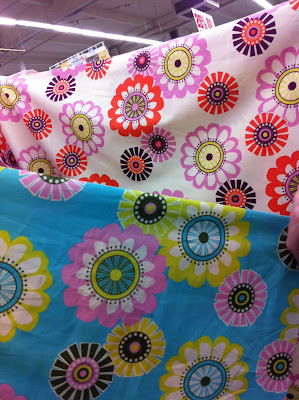 After Ikea we headed to eat a scrumptious lunch at Harry's Deli then off to Fabric Depot. We spent the next 1 1/2hrs. searching through fabrics picking and choosing and just having some fun. 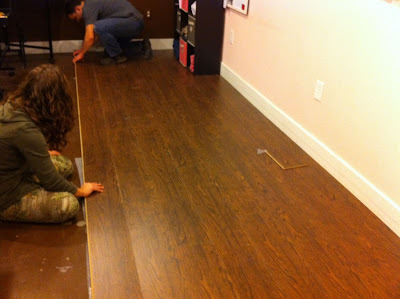 In the mean time I received a phone call letting me know that our flooring was in! YEAH!!!!! After that we said goodbye to my Aunt and Uncle as they were continuing the rest of their journey to San Fransisco. Next on the list was Eeschank. This a sewing and fabric wholesaler. 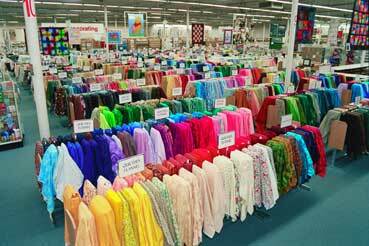 It is basically a hug warehouse filled with tall aisles of fabric, needles, button, threads, patterns and more. The great thing is you get wholesale prices, so we stocked up on some supplies which is great because they come in bulk amounts so we won't run out very quickly on our notions. (and we don't have to go to Joann's for it :) After a thrilling day in Portland we headed back home. We went and picked up the flooring and got to work. 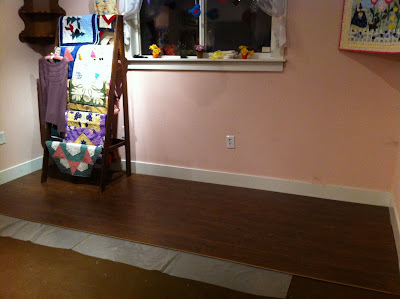 We've got about 5 foot section completed tonight and so tomorrow we can continue and finish it over the weekend. It looks so professional and clean! 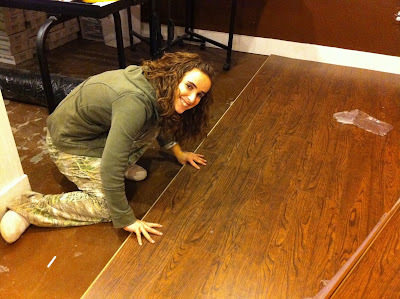 All the elements of our shop are beginning to come together and it's soooooo exciting! Well, that ends our day full of adventures. We certainly are very blessed. Looking good! I'm excited for you!!! It is gorgeous! I wish I could have seen it in person. Maybe you could get some of those cute pictures you've taken of the children and have them enlarged on poster board (from Costco) to decorate your new walls. Aunt Bev- I wish you could have seen it in person too! Paige and April- You'll have to come by an see it! Amy- Thanks- that is a great Idea...We have the one you printed for us still in our shop and everybody comments on it..so we definitely will do it with these pictures!